To fully comprehend either white supremacy or misogyny, we have to attempt to understand both. 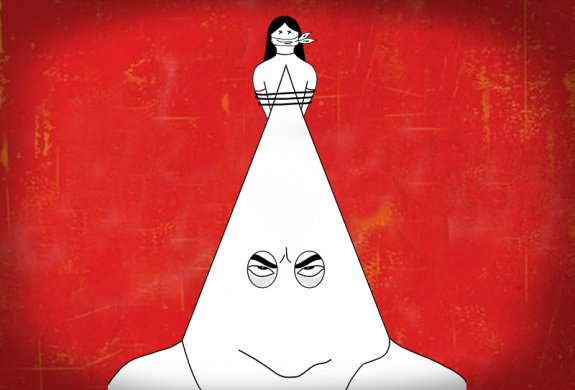 The Anti-Defamation League (ADL) – a Jewish NGO based in the USA which fights antisemitism and all forms of bigotry – considers misogyny a dangerous and underestimated component of extremism. And its recent report on misogyny, ‘When Women are the Enemy: The Intersection of Misogyny and White Supremacy’, marks the start of an ongoing effort to investigate the ways in which people in the white supremacist, incel and MRA orbits feed and inform one another’s poisonous hatred of women. Every day, as virulent white supremacists make their hatred known, we immediately and rightly call them extremists, but we have not, the report says, been nearly as unequivocal in our condemnation when it comes to men who express violent anger toward and loathing for women. In fact, these groups warrant a side-by-side examination, it continues. There is a robust symbiosis between misogyny and white supremacy; the two ideologies are powerfully intertwined. While not all misogynists are racists, and not every white supremacist is a misogynist, a deep-seated loathing of women acts as a connective tissue between many white supremacists, especially those in the alt right, and their lesser-known brothers in hate like incels (involuntary celibates), MRAs (Men’s Rights Activists) and PUAs (Pick Up Artists). This cross-pollination means the largely anonymous outrage of the men’s rights arena acts as a bridge to the white supremacist and anti-Semitic ideology of the alt right. In many ways, Donald Trump’s 2016 victory – secured after a recording of the candidate bragging about sexually assaulting women was made public – was a glorious vindication of misogynists’ worldview. “I’m in a state of exuberance that we have a President who rates women on a 1-10 scale in the same way that we do and evaluates women by their appearance and feminine attitude,” Pick Up Artist RooshV wrote on his website a week after the election. Consider the ramifications of account removal on the victims of harassment. And it says that in the wake of eight years of relatively progressive social policies under America’s first black president and faced with the prospect of the first female president, white men voted overwhelmingly for Trump – someone who has made no secret of his disdain for non-whites and women. At least some of these voters presumably saw Trump as a corrective, a bulwark against the fear that their privileged status – as men, as white people – is at risk.